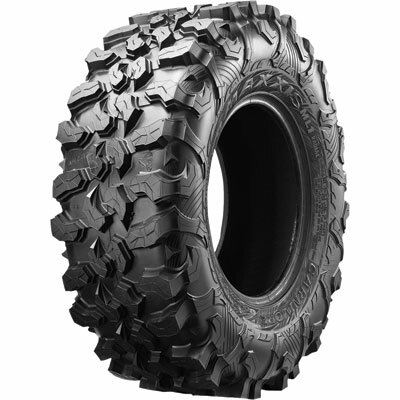 The Maxxis Carnivore was designed around the popular light truck tires on the market. It's engineered to excel in the desert, hard packed, rocky conditions that are most prevalent in the western United States. The Carnivore features the same superb tread life that you have come to expect out of a Maxxis Tire. It's 8 ply radial construction can withstand the heavier loads and high speeds of the Side by Side machines. - Maxxis Carnivore tires generally ship out within 1 business day! - Great tire for desert, rocks, & other hard packed surfaces. We ordered tires from this company they were nation wide back order. The company communicated with us and kept us up to date on the shipping dates. We love the tires. They are exactly what we wanted. The shipping was super fast! Would order from them again in the future. Customer support is great. Tires look really good on my Polaris General and ride is very smooth. They seem to pull pretty good in mud and sand. awesome tires . service was great . rims and tires came mounted , which saved me trouble to go get it done. I will be doing more business with you guys in the future. God Bless . oh recommendation , put a piece of cardboard between each tire/rim package. didn't have problem , but I could see the shippers throwing these package deals around and chipping the powder coat. unbelievable fast shipping. I mean I ordered on Wednesday afternoon and it was on my porch Thursday at noon, less than 24 hours. If you need anything offroad, ultra fast-and they have it, I'd order it from here in an instant. I've only put about 100 miles on them so far, but I'm very happy. Smooth ride, great traction, just what I wanted for the mountain trails that I ride. Q: These look like they would do well in mid and on trails? How do they preform on dirt trails? A: These are an excellent all-terrain tire. They are designed for trail riding, rocks etc..
A: I'm sorry we don't have the weights on this tire yet. We have the 30 inch in stock. They would deliver in 2-4 days. The 32 inch are not in stock yet. Q: What is the measured width of the 28x10x14 outside of tread to outside of tread? A: It is supposed to be 10 inches wide total width including the tread. I haven't personally measured it yet but according to the manufacturer that is what it measures. 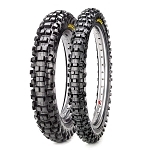 Q: Do you have the Maxxis Carnivore in size 32X10Rx14? Q: are the carnivores available in 32" size yet? A: unfortunately no, not yet. 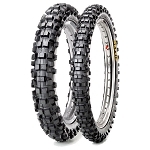 A: 1) The Maxxis Liberty says that it Exceeds DOT test standards but it is not DOT approved. Meaning it meets the requirements but Maxxis didn't take the time/money to have it approved by the DOT. The Carnivores are also not DOT approved. 2) I can't give an honest answer on the overall diameter. There are so many variables that can affect that. (size of rims, air pressure, weight of vehicle etc..) I have to assume they are nearly the same since they are made by the same company but I can't guarantee that. I would feel pretty comfortable saying the Liberty are the same or less than the Carnivore. Let us know if you have any other questions. A: It depends on the day, we are having a hard time keeping these in stock. They are in extremely high demand right now. Today we don't have any 30 or 32 inch. But we just had a bunch of them in a couple days ago. Q: When do you expect another shipment of these tires in 30" or 32" ? A: We are supposed to get more within the next month but there are so many back orders for these that they will probably be out again. 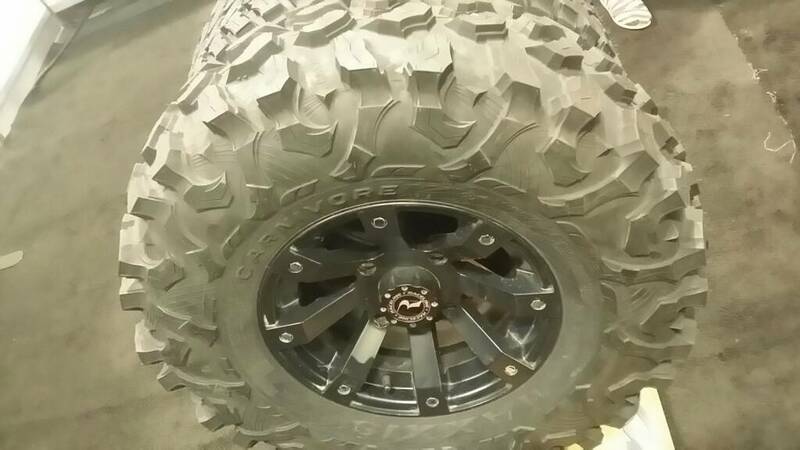 Q: Would an xp4 1000 with two people plus gear be to heavy for these tires to carry? A: No, these are used on 2 and 4 seat side by sides all the time.